Ever feel the sting of rejection? It’s like those rocks in the quarry. You pick one up, inspect it and throw it back down. You may do this all day long until you find that one perfect stone you want to keep. Sometimes we may pick up the rock we think we want just to toss it back into the pile before we go. Often times we pick up treasured rocks and then just put them away for later or forget about them all together. Sometimes this is how we are as humans looking for that perfect person to spend our life’s deepest secrets with. Maybe we do it when we are seeking friendship. What if the marriage or the friendship doesn’t work out like we wanted it to? What happens to those “rocks”? They get thrown aside or just plain forgotten about. I myself have felt rejection right from the get go. Never thought I was meant to be born. Hardly had any friends in school. I was teased and picked on. Friends rejected me in all areas of my life even just recently. So how do I deal with this injustice? Here is my simple true answer: Jesus. Do you know that God hand picked you? 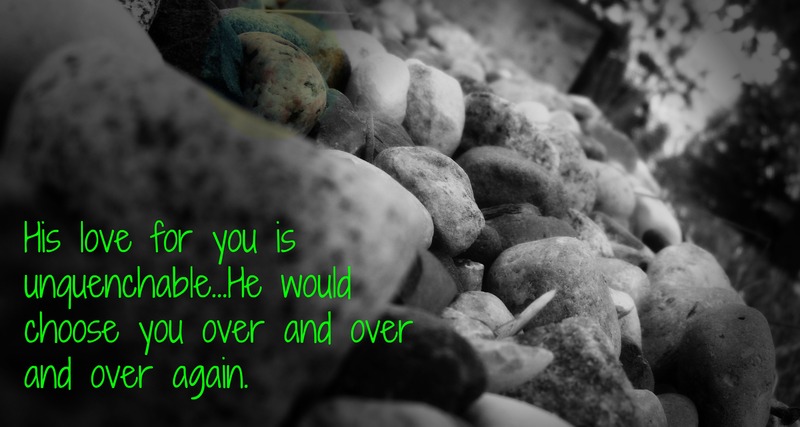 He chose you out of a pile of rubble and inspected you. Yes He saw your flaws. Yes He was well aware of your faults. He even knew you were not qualified for the purposes He had for you life. Nevertheless He picked you up, dusted you off and you became His treasure. My eyes brim with tears as I picture Him in the quarry choosing His stones. We are not what we see ourselves and no matter how many times rejection has come into our lives, He always chooses us. He picks us up and holds us close to His heart. He begins to polish us and clean off our ugliness. He takes time and is patient in His work because He loves us with all of His heart. I want you right now to stop what you are doing. Close your eyes after you read this. Imagine God standing in a quarry of stones. He is looking for one to use for His purposes. He may pass over the shiny one. He might even have to move some rocks around until He finds you, the one He has been searching for all this time. You are the chosen one. Chosen by God for a specific purpose. Just marinate in this picture for a moment until you feel the love of God permeating your every fiber. Friends, this is how much He loves you. 35-36 They brought the colt to Jesus. Then, throwing their coats on its back, they helped Jesus get on. As he rode, the people gave him a grand welcome, throwing their coats on the street. the king in God’s name! Glory in the high places! I am a rock. You are a rock. Here a rock. There a rock. Everywhere a rock, rock!! Sorry that’s just what came in to my head as God told me to write about rocks today. He showed me this vast quarry filled with tons and tons of rocks. Some were big, some small. Some tiny and some massive. 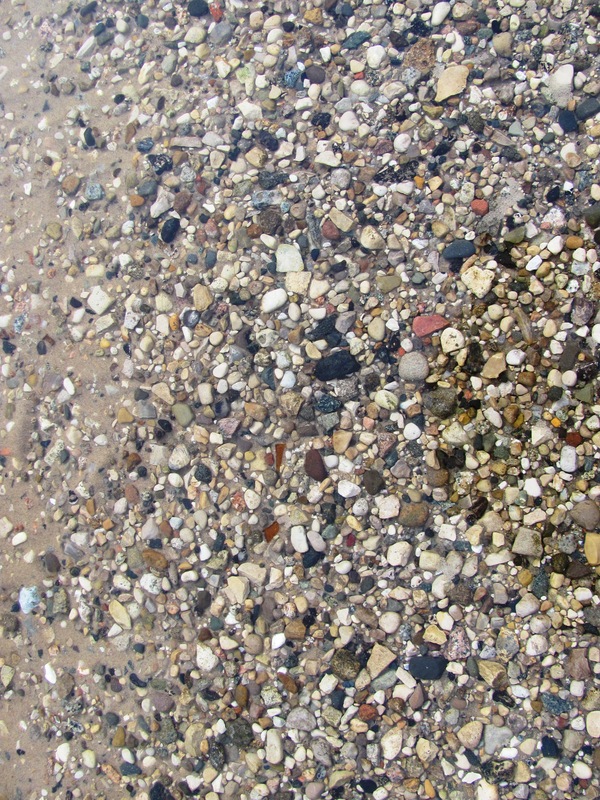 Colors of every kind could be found among these rocks. They had different shapes and sizes. Some were sharp while others were smooth as silk. Some were even both rough and smooth. Some were even broken. Many of these rocks were saturated in the water while others lay out upon the dry sandy ground. No matter where the rocks were located, they were being worked on. Does this look anything like our Christian society today? Some of us are rough around the edges while others are smooth. We all come in different shapes and sizes AND we come from all different places. Do you see the picture? God wants us to see the whole picture I think and it goes back to the saying “Don’t judge a book by it’s cover”, we could say the same thing about these rocks. 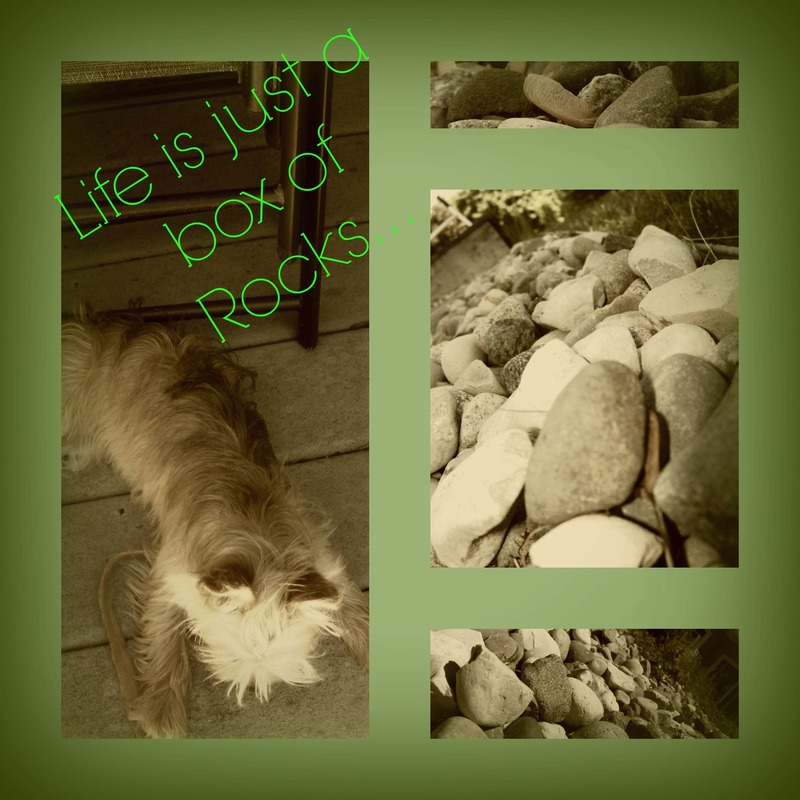 We should not be judging a rock by is size, shape or color or even where it came from. Our journey with rocks this week will unveil the meaning of how we are transformed constantly. Each of is a work in progress and God is not done with any of us! He picked up five smooth stones from a stream and put them into his shepherd’s bag. Then, armed only with his shepherd’s staff and sling, he started across the valley to fight the Philistine. Most of us know the story of Goliath and how he killed his giant with a stone but I always wondered how he chose his stones. Did he have a special place where he went to get his stones? Did they have to be a certain size or shape? How many did he pick up and put back down? How should we pick our rocks to slay our current enemies? What would our rocks be in these modern times? It’s not like we can just go around throwing rocks at our enemies in broad daylight and getting away with it. I think that perhaps we need some grace. One of our rocks should be grace. In order to properly deal with our giants, we need to have grace. We need to be able to decide if perhaps the giant is the way it is because of past hurts or its upbringing. Maybe we don’t really need to slay it after all, it just needs a good dose of grace. Love should be another rock we look for. Jesus left us with the commandment to love one another. Perhaps if we could just learn to love our enemies here again there would be no need for any death to occur. What about truth? That would be a pretty good rock to have in our possession. What if the whole issue is that neither of you know the real truth of the matter? Compassion would also be a nice rock to have in the collection, much like grace it is very powerful. If we could learn to come alongside our giant and maybe change some mindsets with some pure understanding the disagreement could just be dissolved. Peace I believe would be one of the best ones to own. Much like the river it was probably taken from, peace can begin to flow. When we are at peace because we have sought God in the matter, things are put into better perspective. Now that we have our five rocks, how are we going to approach our enemies? With a mindset of GRACE and a heart ready to LOVE, we can search out the TRUTH and find PEACE while using our COMPASSION to allow God to work through us to bring about healing in a persons life. After all, a giant is just another person with feelings, emotions and a history. What if you are somebody’s giant, how would you want to be approached? The humble will see their God at work and be glad. Let all who seek God’s help be encouraged. 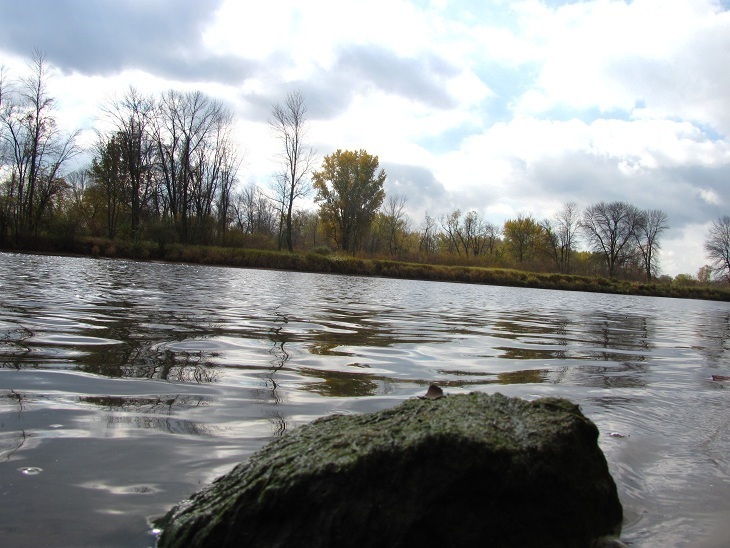 Did you ever sit on the edge of a lake and search until you found that perfect rock? You search and search. You pick one up and put it back. Then you find another one and get excited but it’s just not the perfect one. Finally your search comes to an end as you find the most perfect rock you have ever found. Now, what do you do with this special rock? You show it to your family and friends, you show it off as your newest treasure. You are so proud of your rock you can hardly contain the joy. Then what happens? You get home, set it on shelf and forget about your treasure and you are on to the next best thing. Before you know it you have a jar full of rocks, each unique in its’ presence yet still just a jar of memories you are saving for a rainy day. Wow, does this sound at all like our walk with God on some occasions? We seek and we seek until we find the perfect antidote to our issue and then we file it away somewhere only to visit it once in awhile because we have lost our joy and have fallen into the next trap Satan has set up for us. If only we would treasure each rock we find and keep it close to our hearts. If only we could claim each nugget of truth as our own personal treasure we could be so much farther in our walk and better prepared for the next encounter. I sought after God for many years during my first marriage only each time I found joy I gained false hope because I used wisdom as a band-aid instead of a life application. If only I had held on to God a little closer each time, perhaps my time in the valley would have been shorter. I noticed that I was using a lot of “if onlys” in my blog and I needed to rephrase what I am speaking. We often use “if onlys” as a crutch to get us through and make it seem like we are off the hook, however we do more damage because we are only hurting ourselves. We need to see these gems as life lessons, treasures to be held close to our hearts for longer than just a moment in time, but for always. Go ahead, search for those rocks. Cling to them. Roll them around in your hand. Ponder in wonderment at their uniqueness. Treasure them for their ability to make you smile. Same with the God moments in your life. Learn to glean the lesson and then apply those lessons to every aspect of your life. True joy comes from knowing that at any given moment Satan could throw you into a tailspin but you can just smile because you can find that jar on the shelf, reach in and grab a stone to throw at your Goliath; laughing all the way to your next adventure because you already know we win every time with God, it’s in the Book!